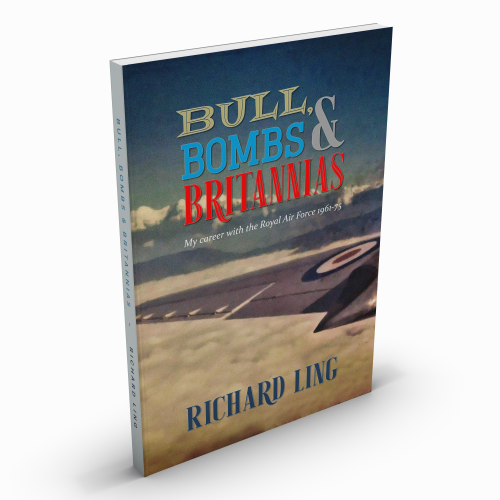 In this, the first instalment of his memoirs, Richard Ling tells the story of his early family life and subsequent RAF career, which saw him serve in a number of capacities, first as a Boy Entrant, then as an Armourer, a Bomb Disposal expert and finally as a loadmaster on the Bristol Britannia aircraft, the RAF’s main transport workhorse of that era. One of three sons born to parents Len and Rose, Richard grew up in the 1950s in Southend, Essex. Aged 15½ he joined the RAF as a Boy Entrant to train as an armament mechanic at RAF St Athan. He passed out in 1962 and proceeded to serve as an armourer at RAF Coltishall and RAF Leuchars servicing guns and ejection seats from a variety of aircraft types of the era. A posting to Germany followed, along with a change of trade, as Richard retrained in the dark arts of Bomb Disposal and experienced some hair-raising moments in Cold War Europe with a variety of things that go bang. A memorable incident at this time occurred when Richard ventured beyond the Berlin Wall into communist East Germany on a sightseeing trip and wound up staring down the barrel of a gun wielded by a ‘Vopo’ (East German policeman). Richard’s final change of trade came when he retrained as an air quartermaster (a role later redesignated loadmaster). In 1969 Richard joined 99 Squadron and, now responsible for loading/unloading an RAF Britannia, was to travel the world, transporting personnel and equipment between the extensive network of overseas bases operated by the RAF at that time. Regular routes took in bases in Europe, the Mediterranean, Africa and the Middle, Near and Far East. In addition there were off-route destinations. Highlights included a visit to the North Pole, New Year’s Eve spent in a bordello in Madagascar, trips to Kathmandu to transport Gurkha members of the British Armed Forces and Operation Lucan – a humanitarian mission to redistribute refugees after the partition of Pakistan and Bangladesh. All this and more is recorded with remarkable clarity and a good deal of humour in an entertaining memoir that will be greatly enjoyed by RAF veterans, armchair travellers and historians interested in the Cold War period during which the events described took place. 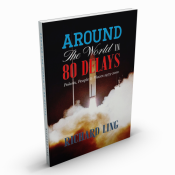 Richard’s memoirs are continued in Around the World in 80 Delays.